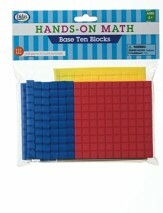 This set of Base Ten activities cards teaches mathematics mastery, developmental progression, and an effective use of manipulatives. Fifty double-sided activity cards feature instructions on the front with an objective, resources needed, and step-by-step procedure; the back of the card features illustrations of the manipulatives. 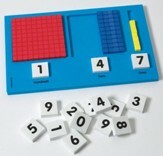 Activities cover counting units, subitising, shape outlines, base ten, 3-digit place value, estimation, addition, ways to make a sum, subtraction with re-grouping, and more. Ages 5 & up. 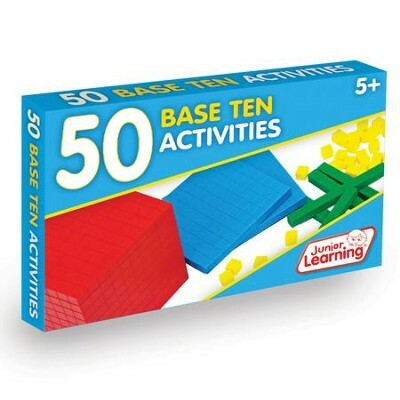 I'm the author/artist and I want to review 50 Base Ten Activities (set of 50 cards).